Recognised as London’s premier gay / LGBT cross-art fest, GFEST – Gaywise FESTival 2011 is open to receive FREE short films, performances and visual arts entries on website: https://www.gaywisefestival.org.uk DEADLINE 27 June 2o11. 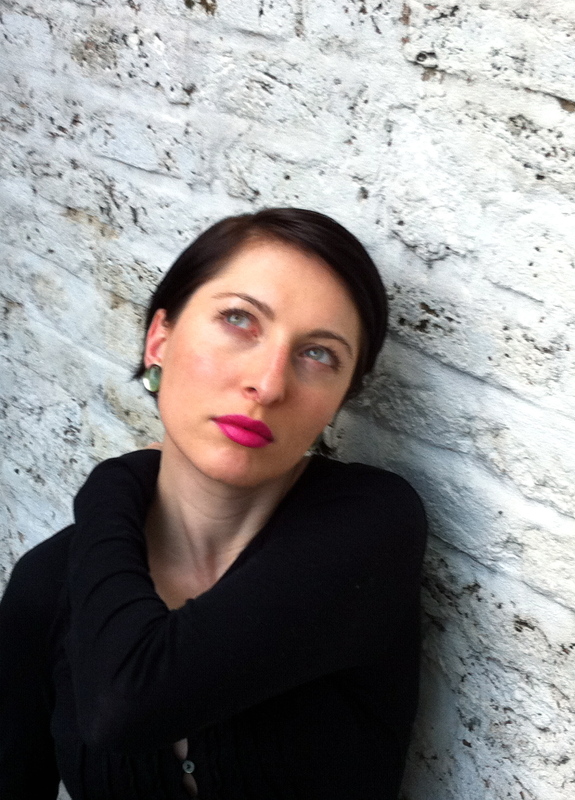 One of the GFEST 2011 selectors is Chiara Williams, an Artist, Curator and Co-Director of WW Gallery, London, forthcoming exhibitions include ‘Afternoon Tea’ at the 54th Venice Biennale, 2011. How would you define good art ? I think there is a silent rule which dictates that good art hooks in the viewer almost immediately and elicits some form of emotional response. Work can induce repulsion or attraction or often quietly mesmerizes with an indefinable ‘something’. It’s all subjective though, and becomes academic when considering work as bad or good. It also depends on instinct, education, taste, wallet, culture and other frames of reference. Different public institutions show and represent different kinds of arts and artists, and there is loads to take in. Art is also a bit like dating, we all have a type, but mostly baffle our friends and family with our choices. What ingredients would make a work of art ‘innovative’ ? Innovation comes from an artist’s new way of seeing/thinking, or work produced in a way that has not been done before that challenges preconceived notions or it can be an old school ideology presented in a contemporary way. Instinct. Intuition. Lateral thinking. Simplicity. Whether it’s relevant or not is also subject to tastes and trends. Do you think ‘Queer or LGBT’ arts can benefit from ‘informed’ and yet sensitively critical vocabulary? I don’t feel that Queer/LGBT art needs its own critical vocabulary, as, an informed yet sensitive critical language should surely be used to contextualise the work of any artist, whatever their subject matter or sexual orientation, and there is plenty of work by Queer/LGBT artists in the mainstream. Are there any specific emerging artistic trends that you would like to mention for the benefit of the practitioners? Any arts practitioner should become the trend, not follow it. You can try to guess what audiences want, but will then inevitably become miserable. The only thing to follow is your gut instinct. Should the artists or practitioners position their own work to help spread a word and get a wider recognition? As far as the visual arts go, there are plenty of ways to position oneself and at WW Gallery, we run a ‘surgery’, through which we give individually tailored advice to artists. Generally, it’s a good idea to apply to open calls, competitions, and festivals that are relevant to your practice and keep doing it, even if you get rejected a few times, it does pay off eventually. Artists often take things too personally, but in order to develop you have to hear what you don’t want at times. If you make it big you have to suffer both positive and harsh criticism, as not everybody is going to love you or what you do, and this is a fact. So it’s best to be able to take that on board early on, and not become destroyed by it. As an artist and gallerist, I know what it’s like from both sides of the fence: I’ve had my work rejected from opportunities plenty of times, but I take it on the chin, and I’ve also had to reject artists’ submissions countless times. It’s not fun, but often there are practical reasons for not being selected. It’s a good idea not to make assumptions about the institutions you are hoping to work with, they are often overstretched and underfunded too, and so, sending unsolicited emails to individuals or galleries rarely works and if you’re not careful, can actually position yourself as a bit of a nuisance. But, if you are going to email someone you haven’t met, make sure you do your research first! Finally, lots of artists we work with happen to be Queer/LGBT, but don’t necessarily make work with Queer/LGBT subject matter. However if that is your subject matter, then it can fit into any arts category and be seen and heard in its own right. Is it time for tea yet? Thank you Chiara, for the thought provoking responses before GFEST 2011 selection.